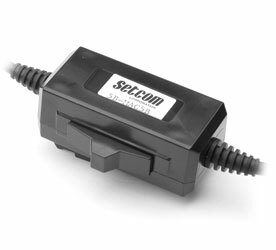 For single headset applications, Setcom offers a number of push-to-talk options. Occasionally, the button is located in the headset cup. 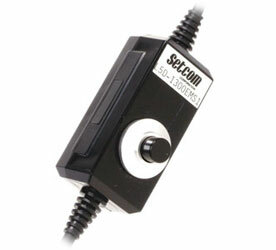 Most often, the button is separate from the headset as with Setcom's most common designs below. The slide switch and button-in-box options are "in-line" on the cable extending from the headset. 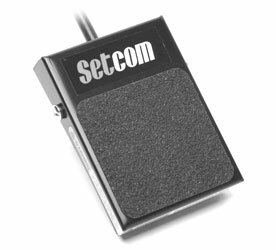 Setcom's three position slide switch is locking in one direction for use with a radio's voice operated transmit (VOX) feature and momentary in the other for use as a standard push-to-talk button. The body and pendant switches are at the end of separate pigtails, making them easier to locate remotely from the headset. 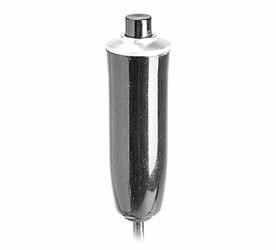 The body switch is an excellent alternative for applications where a user cannot easily push a button with his thumb. With the body switch, a user can key the radio with an elbow, arm, foot or knee. The pendant switch is well suited for applications where a user would like to mount a push-to-talk button on the controls of a vehicle, such as a bulldozer or crane.